These extension straps are for 1.25" wide kilt straps and buckles. 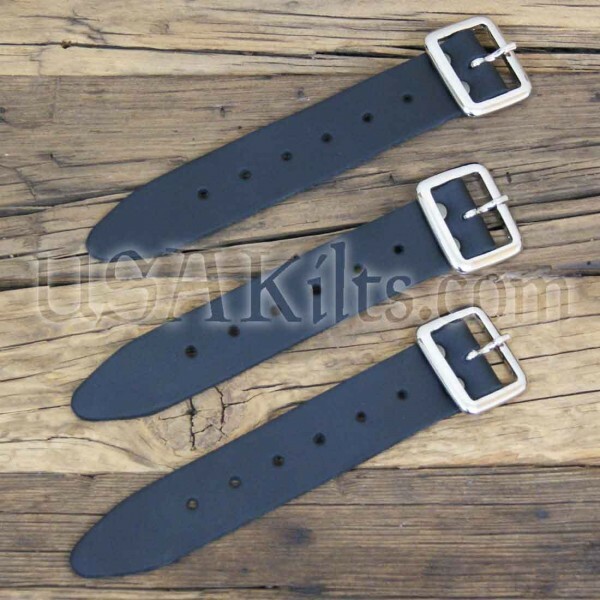 The buckle end buckles on to the existing strap (on your kilt) and the leather strap end connects to an existing buckle on your kilt. The $20 price is for a set of 3. Please measure the straps that are on your kilt to make sure you're ordering the correct size straps and buckles... Kilts vary and can use either 1.25" or 1.5" straps. You're reviewing: Kilt Extension Straps 1.25"